Disclaimer: The opinions in this review are entirely my own. Although I received a free copy of this book, no monetary compensation was made. However, if you click through and make a purchase on the amazon links I will receive a small compensation at no extra cost to you. Today I have lots of goodies for you: a short review of the new book entitled ‘Make Money Teaching Crochet‘ by Marie Segares. An interview with Marie, as well as a giveaway. First up, we have my review of the book, followed by an interview with Marie. During the interview Marie let’s us know where you can purchase your own copy. She also lists various ways in which you can follow and keep up to date with her online work. Last, but not least, you have a chance to enter your email to win yourself a FREE copy of the Ultimate Printable Edition ebook. The giveaway ends Midnight July 10th EST, so make sure you get your entries in before then. 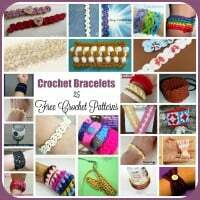 Marie is currently earning a steady income with crochet using various methods – both online and offline. 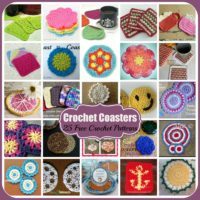 She teaches others how to crochet, and is the blogger and crochet pattern designer behind Underground Crafter. She’s also behind Creative Yarn Entrepreneur, where she covers the business side of working in the yarn industry. Marie was taught to crochet by her grandmother. 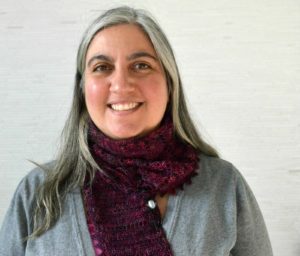 And now, not only is she sharing her passion by teaching others to crochet, but she’s also written a book on how you too can earn a side income by teaching others to crochet. The book is written in five sections. 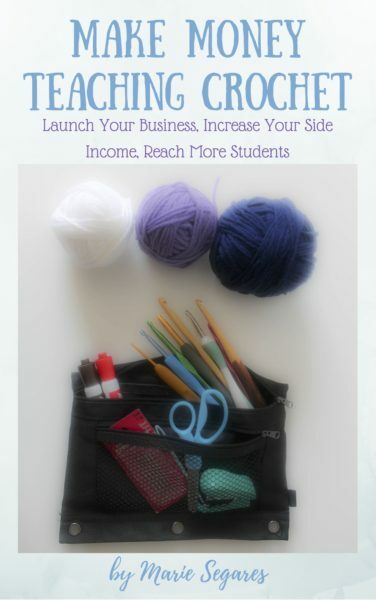 In the first section Marie asks a lot questions to help you decide where you want to take your crochet teaching business. She helps you to brainstorm about who you want to teach, what you want to teach, as well as where you want to teach. Marie also helps you to evaluate yourself in regards to your teaching skills. She not only gives you a list of required skills that you will need, but she also gives you lots of resources to help you to obtain the necessary skills you need for teaching. In section two, she gets down to the business side of teaching. In this section you will learn how to write your payment, refund and cancellation policies. You will learn how to price your classes and how to evaluate your own prices. She talks about prestige pricing and why you might want to use it. Not sure how to collect your payments? This section explains how you can collect both online and offline payments. Section three covers the marketing side. Here you will learn a bit about writing up a description for your course to attract the students you want. You’ll also discover various ways in which you can market your upcoming classes, both offline and online. Section four focuses on class preparation. This section is invaluable because here she covers all the things that will keep your students coming back; such as how to deal with students at different levels in the same class and how to remain patient and energized throughout the class. She also provides a list of tools you need to bring to class, and so much more. Last, but not least, section five is full of helpful resources with links to online sites where you can get more in-depth information. So if teaching crochet is in your plans, this book will get you started in the right direction. It’s not only very resourceful, but I also found it very inspiring, especially the first section. 1.) 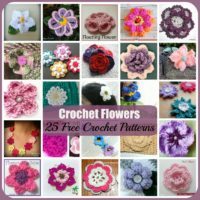 How long have you been teaching crochet, and what got you interested in teaching? Back in 2007, I had a monthly craft circle with two friends where we would meet up at each other’s houses and craft together. Neither of my friends could crochet and after trying to teach one, I realize I had no clue what I was doing! Shortly after that, I learned about the Craft Yarn Council’s Certified Instructors Program in crochet from my local Crochet Guild of America guild and I decided to go through the on-site training. It was a lot of fun but then I had to do 30 hours of teaching to get my certification, so by the time I actually got certified and really started my teaching business, it was 2008. Initially, I went through the training for fun, but I finished graduate school shortly afterwards and had more free time. I also needed more money to start paying back my student loans! So, teaching was a great way for me to earn side income. 2.) Do you have a favorite audience or a particular class that you like to teach such as a beginner’s class, or a certain project? Since 2008, I’ve been teaching 10-week classes several times a year at a local union. The classes are mostly multi-level with a few beginners and several returning students. I’ve grown to love the chaos of teaching a multi-level class where everyone is working on different projects, but I know it isn’t for everyone. 3.) I know this varies from student to student, but on average, how many classes does a typical student enroll in before they are comfortable on their own? This does vary a lot because it also depends on what “comfortable on their own” means. 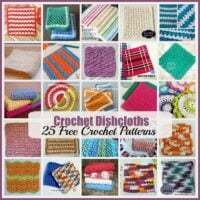 I have students who have been crocheting for 30 years come to my class because they are tired of making that same project they learned visually from a friend years ago and don’t know how to read patterns. I have other students who have never touched a hook before but are happy to learn to make a chain and nothing else because they find it relaxing. With that being said, in my experience most beginners need three classes about a week apart to get really comfortable. When the classes are very close together, it’s easy for students to forget what they’ve learned. 4.) 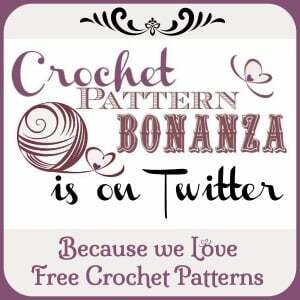 If opportunity allowed you to give just one piece of advice to someone wanting to teach crochet, what piece of advice would you give? Know thyself. I think the most successful teachers understand their own preferences, skills, and interests and use those to engage their students and make sound business decisions. 5.) Where is your new book available for purchase? There are three versions that readers can choose from to best suit their needs. The Ultimate Printable Edition is a PDF ebook including 15 worksheets and 5 customizable forms in Microsoft Word that you can use in your teaching business. It’s 25% off through July 4, 2016. 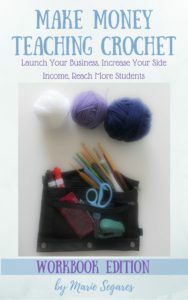 Make Money Teaching Crochet is also available as a streamlined ebook for your favorite ereader. You can get it for Kindle or Kobo. 6.) What are some of the best ways to keep in touch and follow you online? If you’d like to know more about the business side of the yarn industry, you can find me at Creative Yarn Entrepreneur or subscribe to the podcast on iTunes, Google Play Music, or Stitcher. 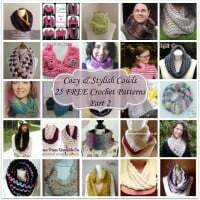 If you want to check out my crochet, knitting, and craft blog where I share free patterns, tips and tutorials, and more, visit Underground Crafter or sign up for my newsletter. 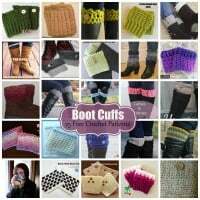 I’m also on Instagram, Pinterest, StumbleUpon, and Twitter as @ucrafter and Facebook as Underground Crafter. And now, here is your chance to win yourself a free copy of the Ultimate Printable Edition ebook. This Giveaway begins June 26th and Ends Midnight, July 10th (EST). I’ve always been interested in teaching crochet, so this book would come in handy. I have a physical disability where I cannot stand for longer than a few minutes at a time…so sitting and crafting is my daily activity. I need to make money to survive, so teaching is my next venture. Selling my craft is not supportive financially enough, so this could be the way to go. I have taught people before, but as a business it did not occur to me…I imagine this book would have everything I know to be able to promote my teaching skills….to win it would be wonderful, to say the least Thanks for this opportunity. My Aunt Anne taught me to crochet when I was 15 and it was the best gift anyone has ever given me. At 51 I love to crochet everything for everyone. And I would love to share this gift with others to pass on. It relieves stress and allows you to produce something beautiful while relaxing, watching tv, or enjoying the outdoors. 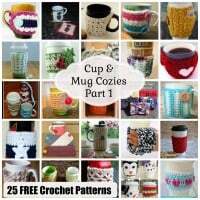 I am a self-taught Crocheter. I am enjoying learning news skills and am wanting to sell my crafts that I make eventually. I am still trying to get my SSI approved. 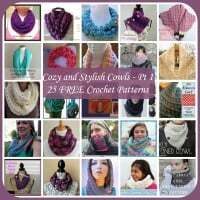 I am wanting to eventually get to the point to teach others how to crochet but as I am Chronically Ill and have Chronic Pain I am thinking the best way for me to do this would to do videos and add the PDFS and Charts. I would like to subtitle the Videos as I know that there are Deaf Crocheters out there too such as myself ( Sensorineural hearing loss). 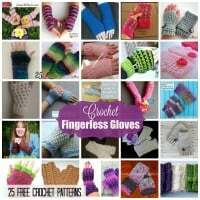 I was thinking it might be fun to have someone use sign language to share the patterns as well.